We had a great social season this year. As always, our members stepped up and volunteered as hosts and crew. We really appreciate your efforts. Our next event is the annual Chili Cook Off on Saturday October 8, 2016 starting at 5:30. Bring your favorite pot of chili and enter the contest for fabulous prizes and bragging rights! Our final social event will be the Final Bash on Saturday November 5, 2016 at Rick’s Café Boatyard. More info to follow. 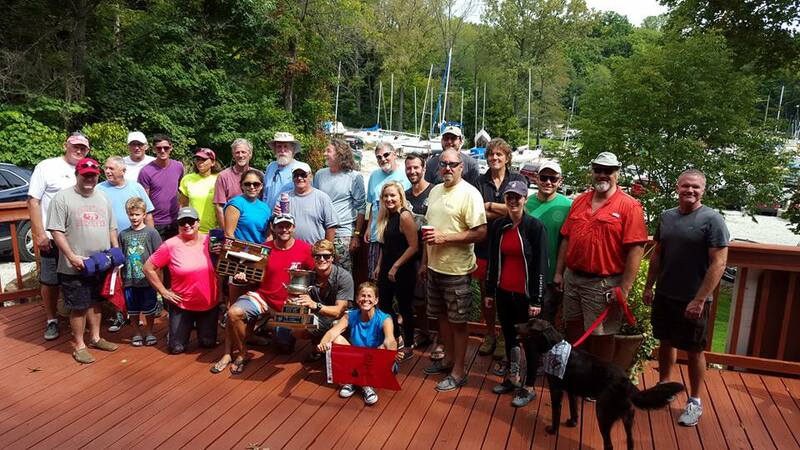 Looking to the Future The ECSC Junior team and staff had a fun outing at the Lake Lemon Regatta on Sept 24-25th. While the competition was real, the team usually treats this regatta as some relaxing and fun time together. 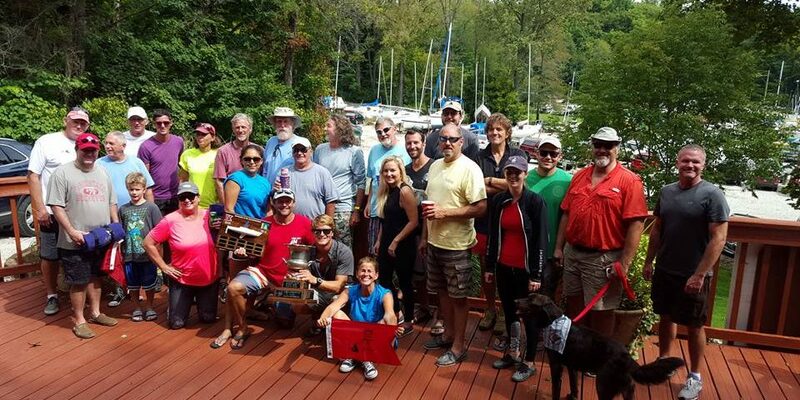 Most of us camped at Bloomington Yacht Club for the weekend, and even Wayne competed there, as he has for over 30 years! Jon spent the weekend competing in the Finn, against Wayne, but Wayne remains undefeated against the Juniors. I guess he isn’t showing them all his tricks! The two newest members of the Junior Team, Dunkin and Jack were also on hand to get experience sailing in their first regatta. Congrats boys! They got to see what it is really like to experience a regatta from start to finish, and they both did a great job! The boys have been training with Jon and were anxious to see what racing was really like, so this was a great introduction to them. They may be out at the Hornback, so if you see them be sure to say Hi! The Junior Team will now shift gears into prep for 2017 Thanks to Kenny, the site is graded for the new school shed area. The construction should start shortly . The new area is going to feature storage space, but the most anticipated feature is some combined teaching space for camp, and workout area for the rest of the time. Outfit for chilly weather at the Chili Cook-Off! Final Bash is coming up! The ECSC Final Bash will be held on Saturday November 5, 2016 at Rick’s Café Boatyard Restaurant. Cocktails start at 6:30 – each ticket comes with two free drink coupons. Buffet dinner starts at 7:30 Racing Awards at 7:45 Dancing starts at 8:30 Door prizes awarded at 9:00 and at 10:00 At 10:00 we will hold a drawing for a free 2017 ECSC Membership. The dinner is $35 for Members and $40 for Guests. There is a $10 discount for reservations and money received by October 31st. Watch for more to come via email next week.